I have always thought of myself as a young and hip professional even though I’ve been in the higher education sector for nearly 25 years. It was not until I myself learned more about the power and ease ofdigital giving with RNLthat I realized I had some catching up to do regarding how we help institutions have greatgiving daysandcrowdfunding campaigns. My son was the vice president for communications at one of his university’s fraternities, and they held an annual fundraising campaign. Although it was extremely successful, when I looked more closely at how it was conducted, I realized how much more effective it could have been using ourdigital giving solutions that are powered by the ScaleFunder platform. Why? First and foremost, the ease of implementing a campaign came to mind. Secondly, the ease to which an institution or organization can capture its own unique brand and message is quite powerful. And lastly, the multiple campaigns that can take place utilizing the RNL Digital Giving platform are amazing. We weren’t sure what to expect heading into Giving Tuesday this year, we’ve participated in years past but never at the level that we did this year. 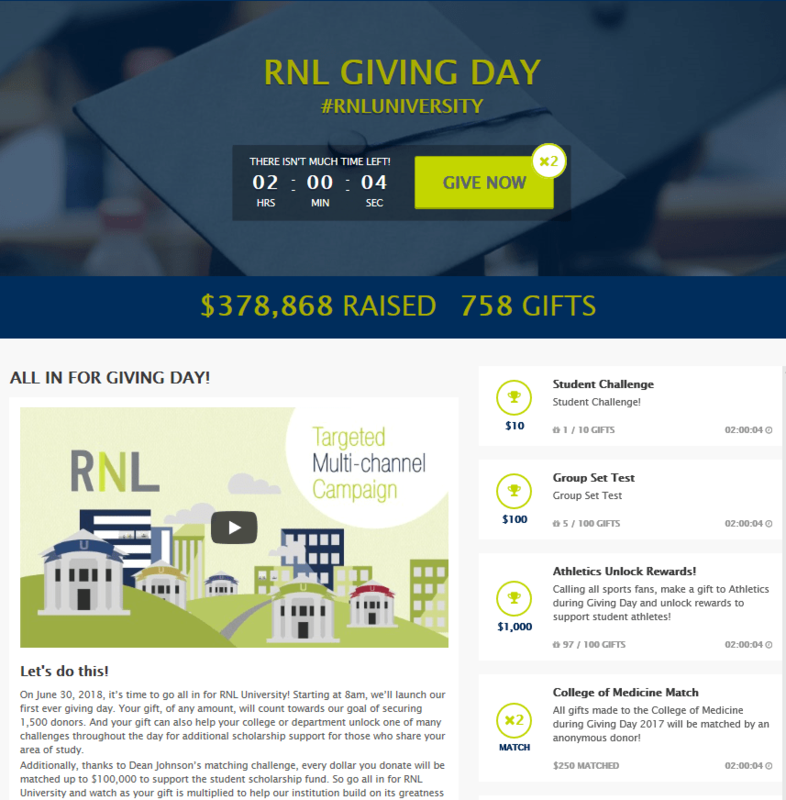 For the first time, we had an interactive Giving Day page through RNL’s Giving Day platform that allowed us to coordinate matching challenges and social media outreach that helped us take our Giving Day efforts to a much higher level. We went from raising around $12,500 from 86 gifts in 2017 to $96,185 with 417 gifts in 2018. I think the effectiveness of the RNL Giving Day powered by ScaleFunder platform speaks for itself. We couldn’t be happier with the platform and the service we received from the RNL staff leading up to and on our Giving Day, we can’t wait for Giving Day 2019! RNL Digital Giving powered by ScaleFundercan help you optimize gift pages to provide real-time results while integrating your existing payment processor to streamline the donation process too.Learn more, or ask for a demo of ourcrowdfundingorgiving daysolutions. Campuses and organizations across the country have useRNL Giving Day powered by ScaleFunder. 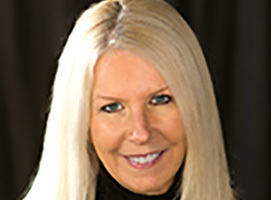 Reach Linda by e-mail at Linda.Hoopes@RuffaloNL.com.